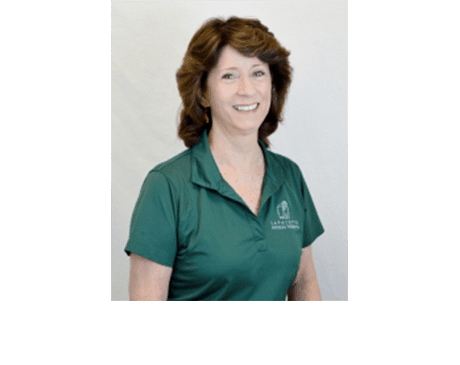 As director and owner of Lafayette Physical Therapy, Valerie Watase, PT, BS, brings more than 35 years of experience in physical therapy to the community of Lafayette, California. Valerie received her physical therapy certification and bachelor’s degree in health science and physical therapy from California State University, Northridge, in conjunction with the University of California, Los Angeles, School of Medicine. In addition to her physical therapy training, Valerie also studied orthopedic manual therapy, with an emphasis on Maitland techniques, in Australia. She’s also a graduate of Kaiser Vallejo's Proprioceptive Neuromuscular Facilitation program. This innovative program focuses on treatments for stroke, brain and spinal cord injuries, and musculoskeletal conditions. Over her career, Valerie has explored several areas of physical therapy care, including general orthopedic, lumbar and spinal problems, and cervicogenic headaches. She’s also studied postural abnormalities, geriatric rehabilitation, and vestibular disorders. To round out her physical therapy education, Valerie is trained in Pilates. As a lifelong learner, Valerie has completed hundreds of hours of continued education. When she’s not treating patients, Valerie is an avid hiker and a passionate equestrian who has participated in national equestrian competitions. She enjoys spending time with her family, camping, and gardening.